Why do we lose our mind? The tech industry hopes to figure that out. We are on the verge of unlocking the mysteries of the human brain: 2018 will see a critical mass of researchers, technologists, and entrepreneurs coalesce around that mission. "The frontier for the next decade is definitely human brain research and augmentation of human intelligence," Peter Diamandis, executive chairman of the X Prize Foundation, told NBC News. Every year, his organization hosts a "Visioneers Summit," where teams present ideas that aim to tackle some of the globe's biggest challenges. The 2017 summit's highest honors went to the team tackling Alzheimer's disease. "We are in the midst of a crazy longevity revolution," said Ken Dychtwald, team leader at this year's summit and a gerontologist who heads up Age Wave, a consultancy that advises on the demographic challenges of an aging population. "The number one fear about longevity is losing one's mind, and for good reason," he said. "Here we have this disease, where we have people in different parts of our communities trying to solve it with no success — a total market failure." More than 5 million Americans suffer from Alzheimer's, and that's expected to grow as the U.S. population ages. Despite decades of clinical trials, pharmaceutical companies are still far from finding a cure. That's in large part because scientists say they still have a poor understanding of how the brain works. Philanthropists and entrepreneurs, many affiliated with the tech sector, are starting to commit large sums of money to try to change that. 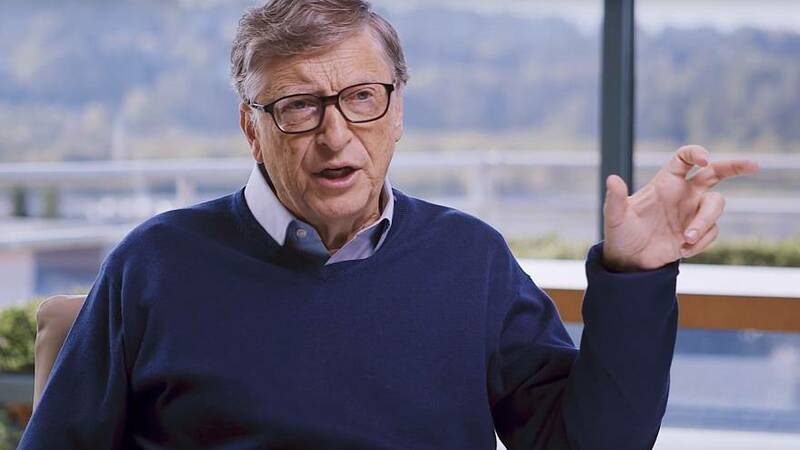 In November, Microsoft founder Bill Gates committed $100 million of his own money to boost research and fund start-ups working on Alzheimer's R&D. Biotech investor Louis G. Reese co-founded United Neuroscience with his wife, Mei Mei Hu, and immunologist Chang Yi Wang. The company is developing a technology platform to speed up research into auto-immune responses to Alzheimer's and other degenerative diseases. Reese cites three advances that show real potential, now. They include strides made in genetic sequencing and mapping of the brain, and new technologies for imaging the brain, as well as for imaging biomarkers associated with various chronic diseases. "In terms of long-term brain maintenance, this really has the potential to alter the course of humanity," he said. Bryan Johnson is another tech entrepreneur putting his money into brain maintenance, but of a different sort. He is better known for founding Braintree, the online payment service that is now part of Paypal. In 2016, he put $100 million into starting Kernel, a company devoted to building brain-interfacing technology that improves cognitive function. "The single thing we need to survive and thrive is a tool to read and write neural code," Johnson said. "What if we could read and write genetics and synthesize the biology of the brain?" Johnson envisions a future where computer chips implanted in the brain, or devices that connect to it, help with fixing problems of function and much more. "Right now, we can't imagine out of our own box," he said. "We are constrained by our own creativity tools." The idea of "brain hacking," or using technology to augment brain function and human intelligence, is controversial, but is taking off, nevertheless. In 2017, Tesla CEO and founder of SpaceX, Elon Musk, launched a venture called Neuralink.Facebook has also said it is developing technology that can read brain waves. "Everything is from the brain," Johnson said. "Somehow, we haven't thought about it enough, and that's been a massive blindspot." "The fact that they're doing this now provides social proof that this is a legitimate thing."